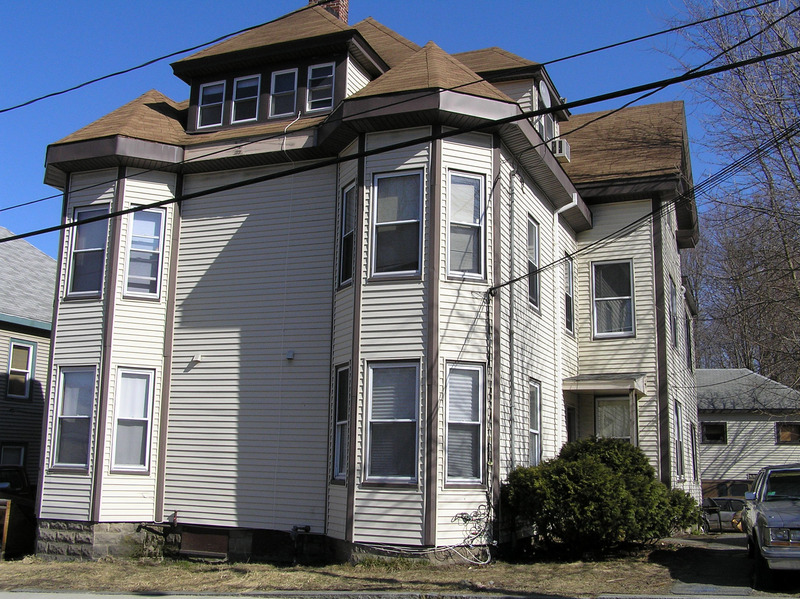 The house at 4 Mount Pleasant Ave. was originally the William Mayes apartments and boarding house at the corner of Central and Manning Streets. After it was moved, that became the location of Conley’s Drug Store, and now hosts Good Taste Asian Food. 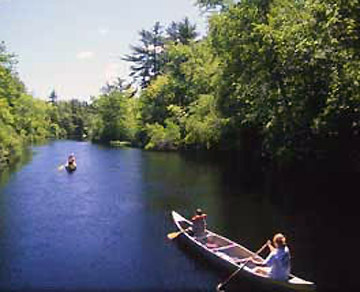 The photo above shows the house now, facing Mount Pleasant St. The house is being moved down Hammatt Street to its new location on Mount Pleasant Street. This is the rear of the house, which is now hidden by a large addition. On the left is the building that now houses the NAPA store, on beyond it is 9 Hammatt St. On the right is 10 Hammatt Street. The photo above shows the house being moved around 1950 down Hammatt Street, then right on Washington Street to this location at 30 Mount Pleasant. Additions and alterations to the building make it difficult to recognize. The image above is a screenshot from the 1893 Ipswich Birdseye map. The 1910 Ipswich map shows the configuration of the building, including the two bay extensions on either side of the front of the house. 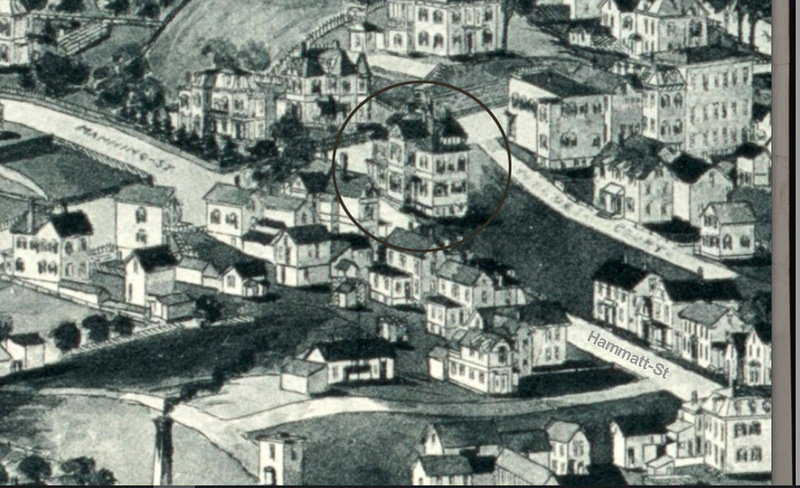 The Mayes Building at the corner of Hammat and Central Streets in the 1910 Ipswich map shows the two tall bay extensions on the front of the house. The 1910 Ipswich Census shows 2 families and 4 boarders living at the Mayes Establishment, 50-48 Central Street, suggesting that it was a rental property and boarding house. 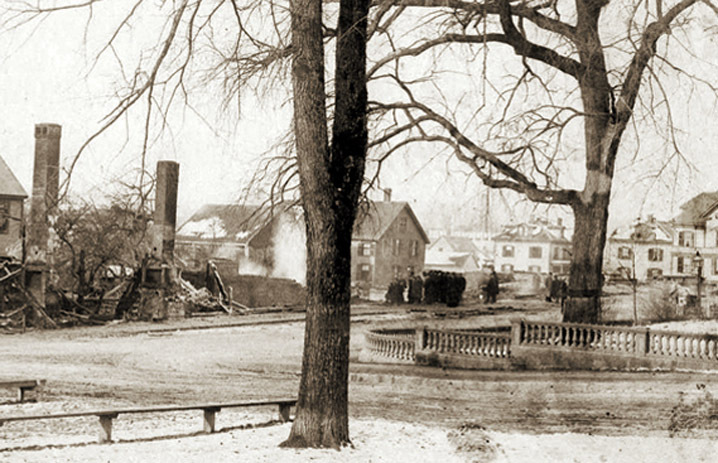 This photo from the 1894 Central Street fire shows the Hayes house on the far right, which was separated from the flames by Wildes Court.